At last years EICMA motorcycle show, we witnessed the emergence of a small engine capacity ‘Adventure’ bike class. 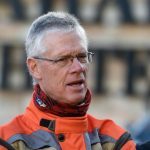 Honda’s CRF 250 RALLY, BMW’s 310 GS and Suzuki’s V-Strom 250, all debuted, together with the subject of this test; the Kawasaki Versys 300. The question I asked was: are these ‘Adventure’ styled town runabouts or can they justify the ‘Adventure’ tag, in a real sense? So, what does a bike need to play in the ‘Adventure’ space? Comfort, both in seat and wind protections, adequate fuel range, good riding position as well as reasonable suspension, adequate ground clearance and genuine dirt road ability. Last and certainly not least, the engine must have good ‘open road’ cruising ability. 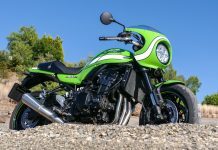 Well, how does the Kawasaki 300 Versys measure up – Damn well, that’s how! 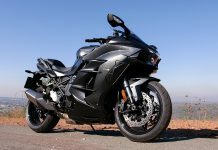 At the heart of the bike is the 296cc parallel twin, with double overhead cams engine and a six-speed gearbox, from the Ninja 300. Turbine smooth at all speeds, the little mill churns out 40 hp at 11500 rpm and 25.7 Nm of torque at 10000 rpm. 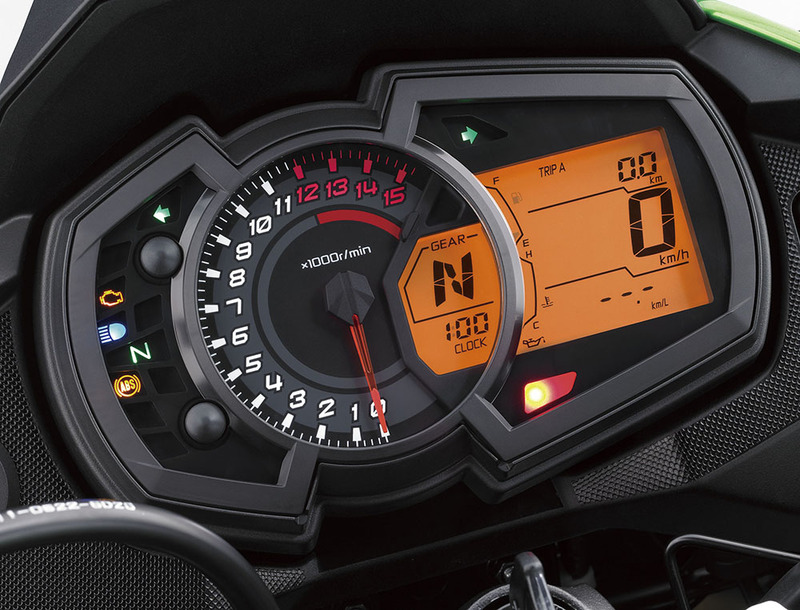 Clearly, you need to rev this motor for maximum performance but Kawasaki has endowed the bike with quite short gearing to compensate for the lack of low down torque from the small capacity motor. The oversquare engine design (62 mm bore X 49 mm stroke) achieves two things – the motor revs willingly and piston speeds are kept reasonable, despite the high revving nature of the engine. On the road, this equates to 120 kph at 9000 rpm (still 3000 rpm from the redline). One thing that amazed me, was when I wound-up the throttle on a flat road, I saw the bike run from 120 kph to over 160 at red line, with me sitting bolt upright! This sort of performance from a 300cc bike puts the little Kawi in a class of ONE. It is seldom necessary to rev the bike beyond 6000 revs in normal traffic. Once in top gear, the bike wafts along effortlessly up hill and down dale. Torque is such that you do not have to gear down on anything but the steepest of hills. Fueling is flawless at all speeds via the 32 mm throttle bodied, fuel injection. Fuel consumption hovers around 25 km/L for both ‘general town’ and ‘highway’ riding and the generous, 17 litre tank thus gives a range of around 400 kays. 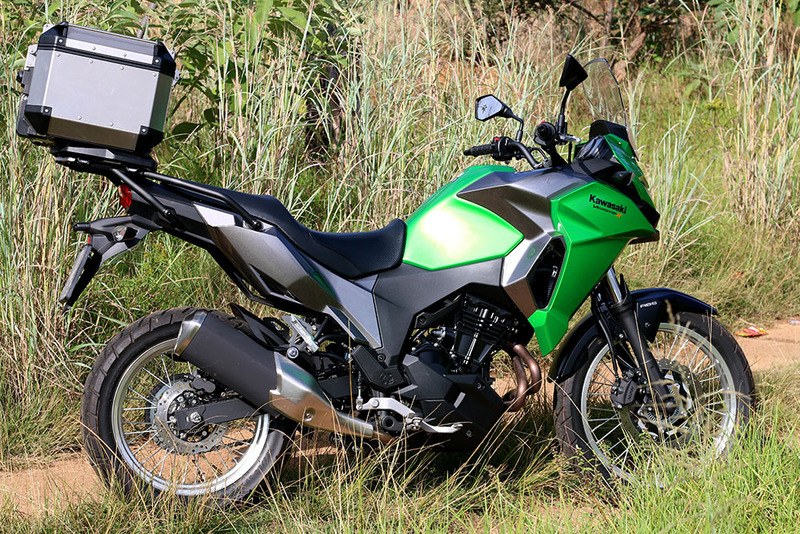 Visually, the Versys looks the part with typical ‘Adventure’ bike styling. The cockpit is well laid out behind a decent windshield. This is not a fly-screen but rather something that wards off wind and weather. The radiator shrouds are colour matched and all in all, everything hangs together nicely. The single 290 mm disc shod 19” front wheel (aluminium rim), hangs from conventional forks with 130 mm of travel. Rear wheel is a 130/80 X 17 with a 220 mm disc and 148 mm of travel. (You are unlikely to tackle Baboons Pass with this beastie, after all). With a seat height of 815 mm and weighing in at 184 kg, with ABS, the bike is easily managed by just about anyone. Steering is absolutely neutral and stable, whether hauling in a straight line or tipped on its ear – it gives huge fun to toss around! 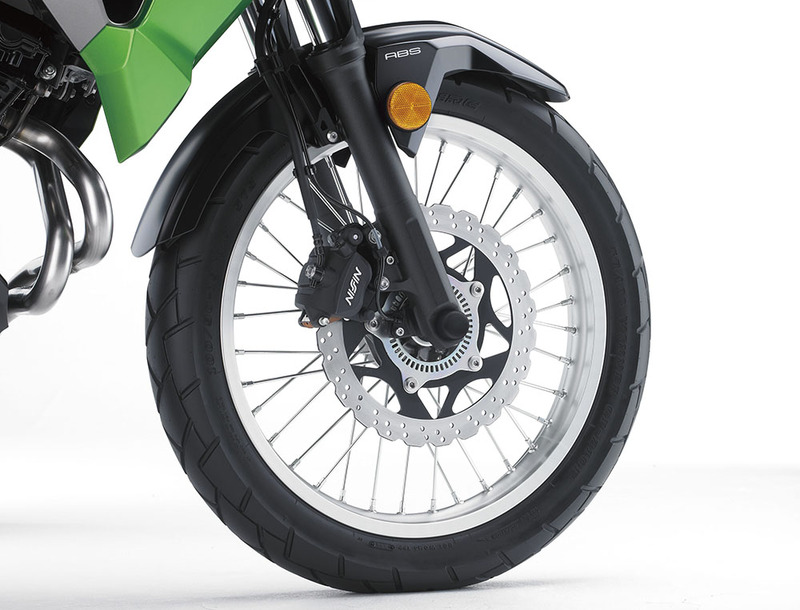 The non-adjustable front forks and preload adjustable rear shocks, are set up firmly. This, no doubt, contributes to the excellent handling. It also makes the bike feel surprisingly good over gnarly surfaces. Despite my 82 kg bulk, the suspension resisted bottoming, even when traversing whooped out bumpy terrain – this bike has genuine dirt road composure. I found the dash easy to read and easy to scroll through via the dash-mounted button. Trip a and b, odometer, fuel gauge, gear indicator, clock, temp gauge, current consumption, average consumption and remaining mileage, are all available. 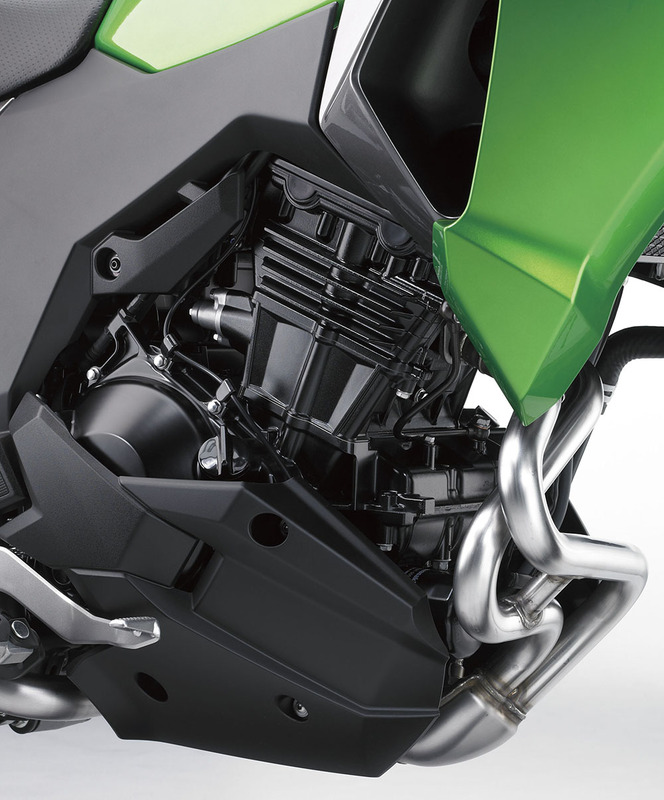 It’s all there, even a little economy icon when the Kawi is just sipping fuel. Oh Yeah, it’s got a speedo and rev counter too! As you can gather, I really like this bike. Being used to big capacity motorcycles, I was initially unnerved by the high revving nature of the bike but thinking it through, I believe the use of a twin cylinder, water cooled engine, designed to rev reliably, puts this bike firmly at the top of the class. Time will tell but the opposition, with their single cylinder engines are looking down the proverbial barrel. Meanwhile, the little Kawi is looking on and saying “ Go ahead and make my day”! 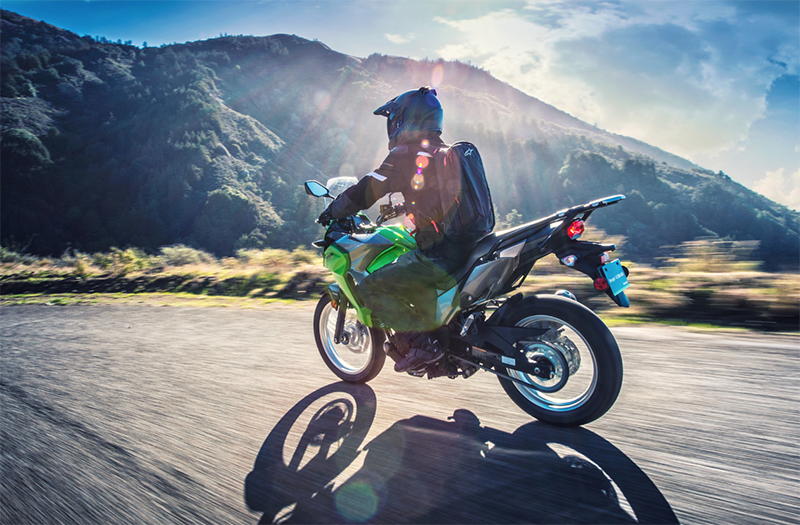 A wide variety of ‘Adventure’ accessories, allow you to pimp your Versys for the adventure of your dreams. Later in the year, we plan to do an extended African tour on this bike, to test its ‘Adventure’ credentials thoroughly. My initial impression is that it will manage anything we throw at it admirably. At R74995, it is competitively priced. Right now, Kawasaki can face their future, in this segment, with justifiable confidence.